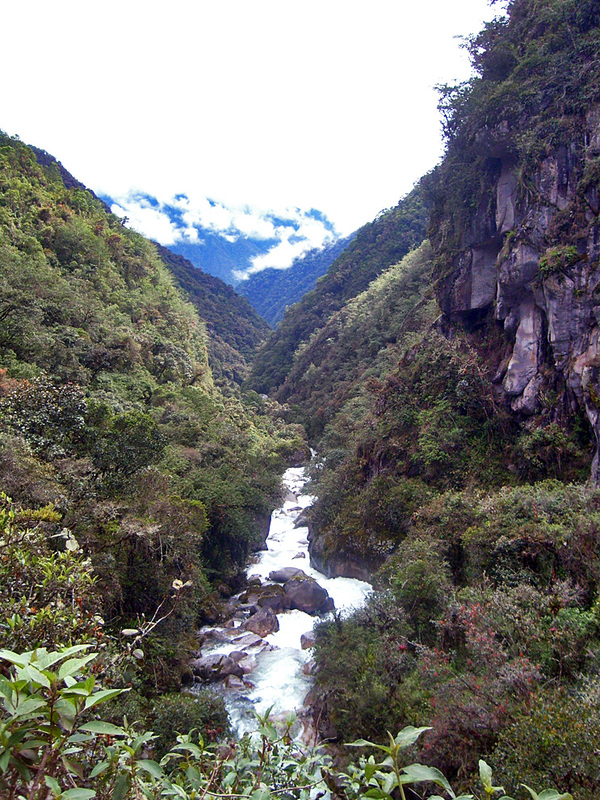 "A Cordillera Real Traverse at its most extremes: From glaciated mountains to the cloud forest. 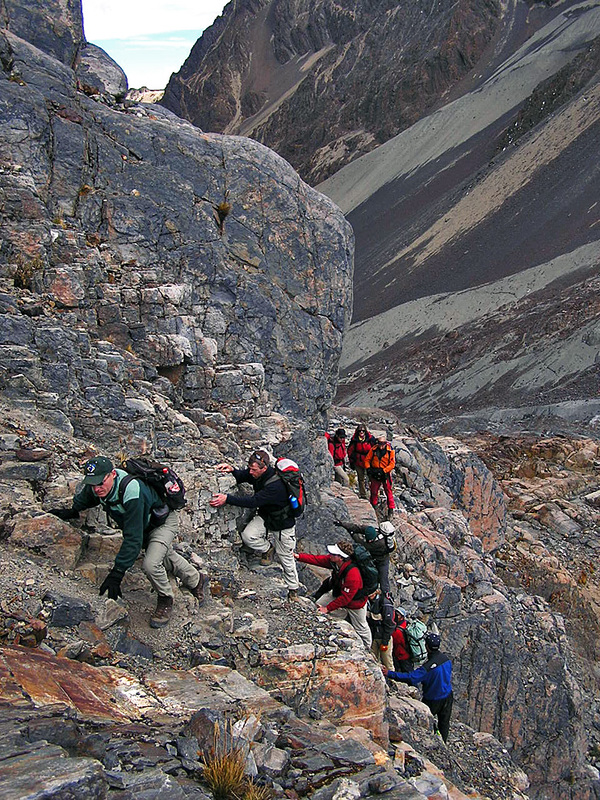 Consequently it is a special blend of: trekking adventure, wildlife viewing and insight into Tiwanaku and Inca Cultures"
It is a genuine classic, keeping to high trails and crossing two passes over 5000 metres (16400 ft). 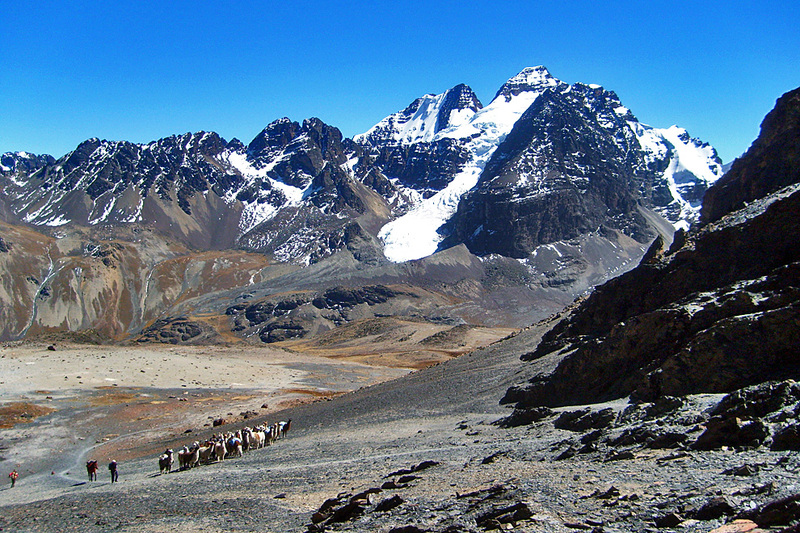 Our route provides a great diversity of scenery, including lovely alpine valleys with picturesque lakes, snow-capped peaks and scattered Aymara Indian villages. 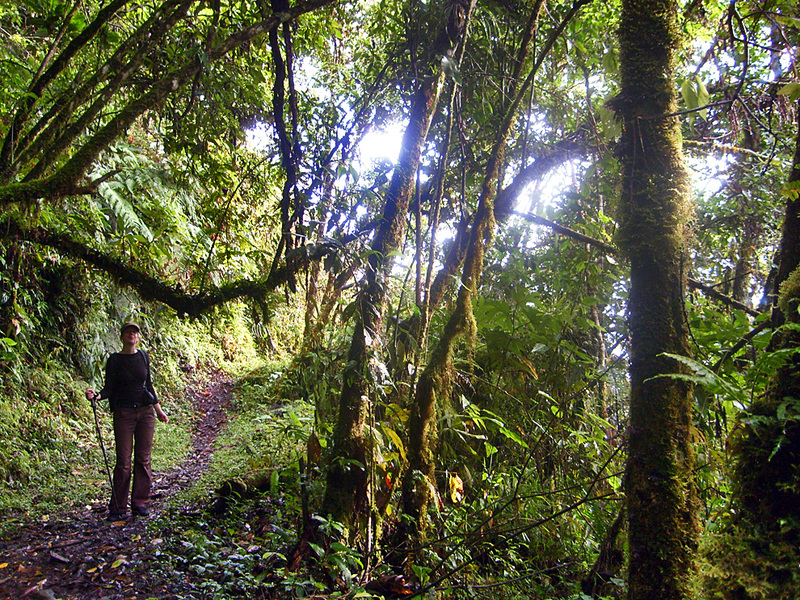 In last days we descend to tropical rainforest valleys to enjoy a different environment. Definitively it is a route of huge contrasts. Considerable amount of ascent and descent. 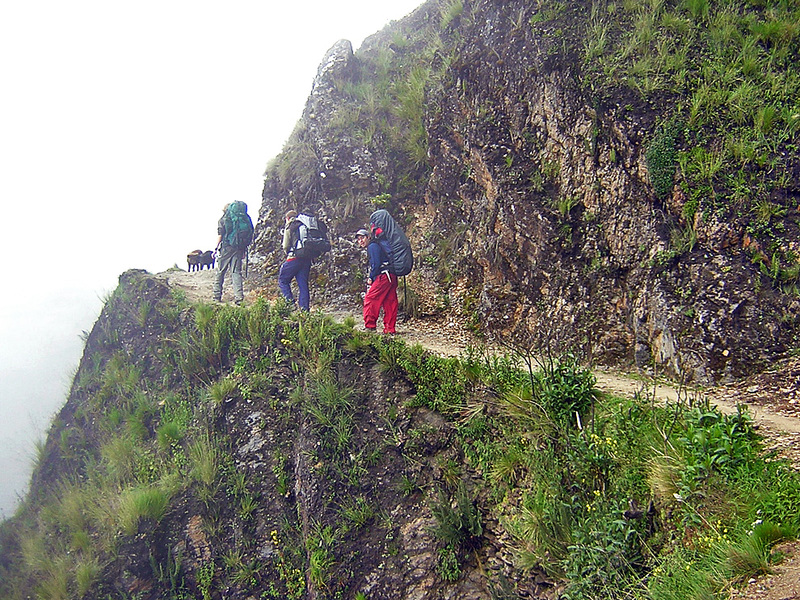 9 passes to cross almost one every day of the trek. 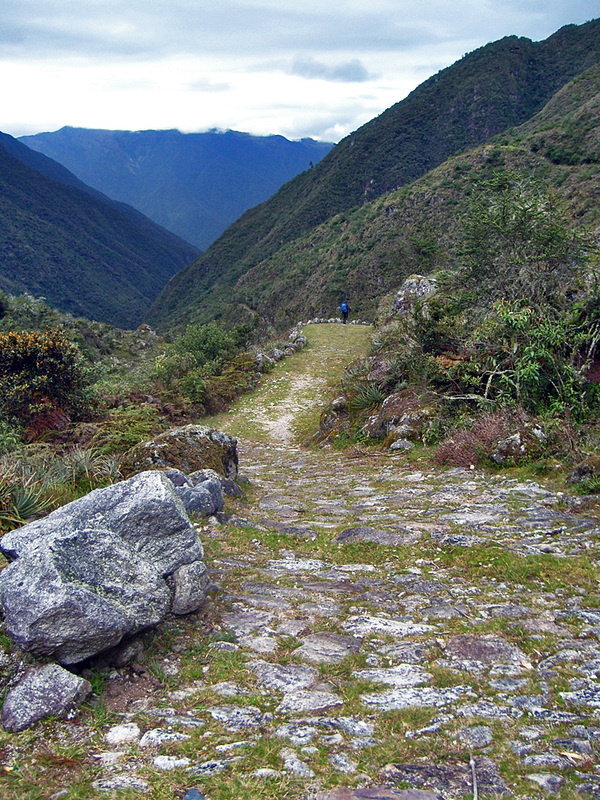 This is an established trekking route, and Azimut Explorer staff and you will be following a good trail throughout, with underfoot conditions ranging from rocky passes and scree, from Inca stone steps to grassy tracks, from cold to warm. All equipment is carried by pack-animals. DAY 1: TO KOTIA. Car transfer. Camp in a spot surrounded by snowy peaks and moraines. DAY 2: TO AJWANI. Trek and camp. DAY 3: TO JURIKOTA. Trek and camp. DAY 4: TO CHIARKOTA. Trek and camp. DAY 6: TO ANCOMA. Trek and camp. 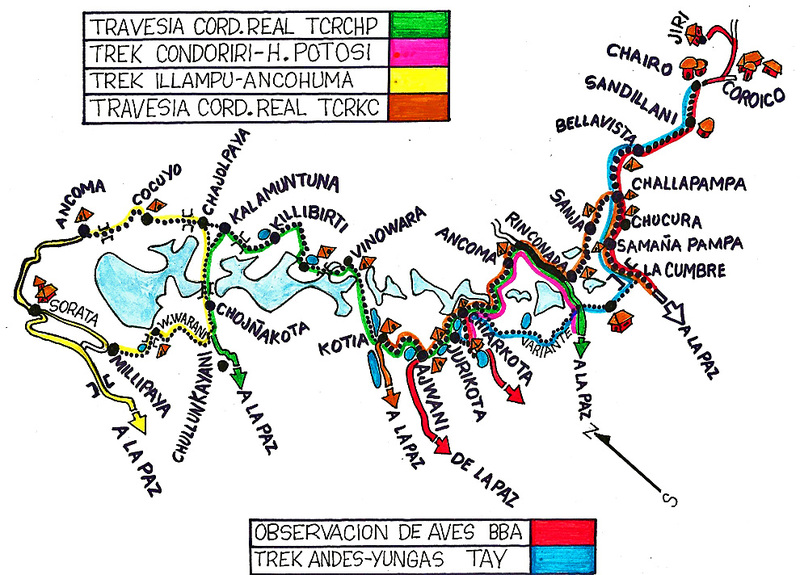 DAY 7: TO CHACAPAMPA & TRANSFER TO RINCONADA. 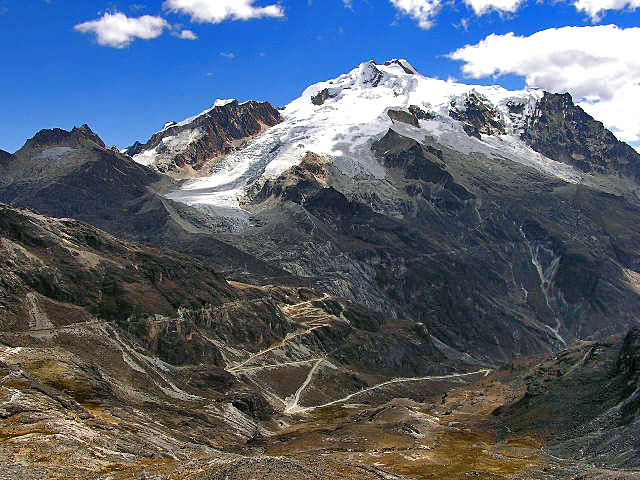 Trek, car transfer and camp near the foothills of Huayna Potosi glaciers. DAY 8: TO SANJA. Trek and camp. DAY 9: TO CHALLAPAMPA. 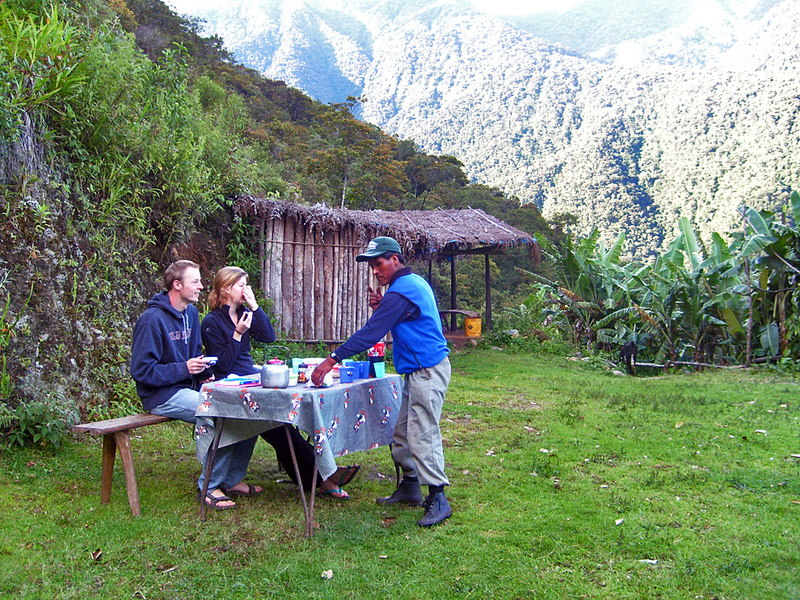 Trek and camp in the cloud forest of Yungas. DAY 10: TO SAN FRANCISCO. Trek and camp. 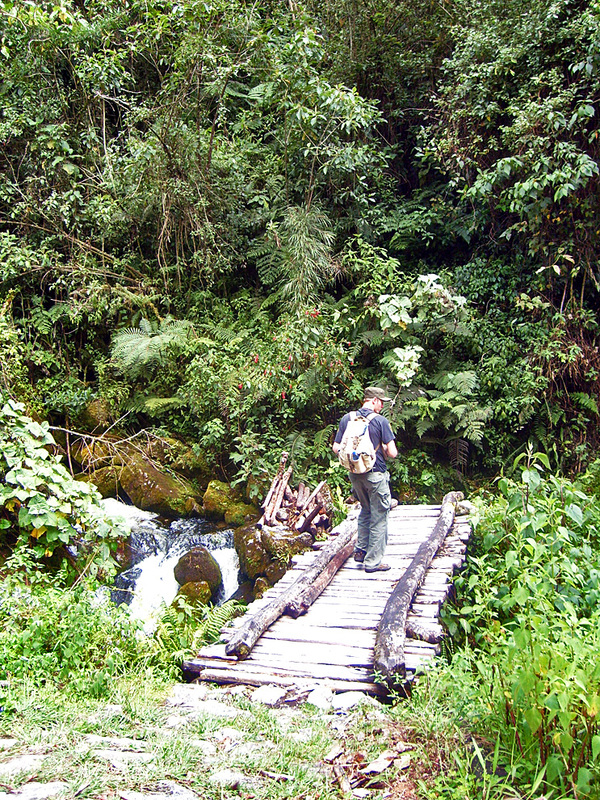 DAY 11: TO COROICO. Humid forest. Trek and hotel. DAY 12: RETURN TO LA PAZ. BRING: anorak, sleeping bag, warm gloves, polar jacket, bonnet, thermal underwear, sun glasses, head torch, bathing suit, sun block crème, sun hat, mosquito repellent, Malaria prophylaxis.